As if New York is some veritable battleground between conservative and liberal ideals, Governor Andrew Cuomo is launching a campaign against crisis pregnancy centers. In a statement this week, Cuomo announced an awareness campaign centered on combatting “the insidious spread of misleading, medically inaccurate information about reproductive health,” which he claimed comes from pregnancy centers that don’t offer abortion services. The initiative — “Know Your Options, Get the Facts” — encourages women in New York to educate themselves about abortion and connect with “comprehensive family planning services,” those offering a full range of abortion options. New York has launched a campaign to combat the spread of misleading, medically inaccurate information about reproductive health. The campaign specifically singles out the work done through crisis pregnancy centers. These actions are in direct response to widespread reports of organizations known as Crisis Pregnancy Centers or CPCs misrepresenting themselves as health centers to dissuade those seeking abortion from going through with that choice. These reports show that CPCs often use false and misleading advertising and offer free services to attract women into their offices, where they then allegedly misinform and mislead those who seek pregnancy-related information. These centers’ actions may interfere with New Yorkers’ constitutionally protected rights to seek reproductive health care and may endanger them by preventing them from receiving medically accurate information. 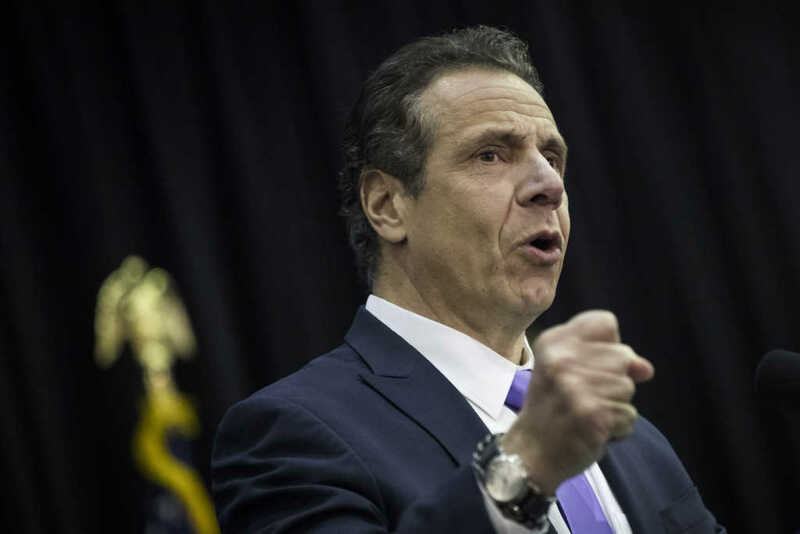 Governor Cuomo promised to sue the U.S. Supreme Court should the panel of justices attempt to overturn the 1973 landmark decision on Roe v. Wade, which legalized abortion across the country. Though, it should be noted, that New York state legalized abortion under Republican Gov. Nelson Rockefeller years prior to the passing of Roe v. Wade in 1970 — so if Roe v. Wade were overturned, the 1970 law would still be in place. Additionally, Gov. Cuomo could push for a vote to codify the rights outlined by Roe v. Wade into state law.